Hi guys! 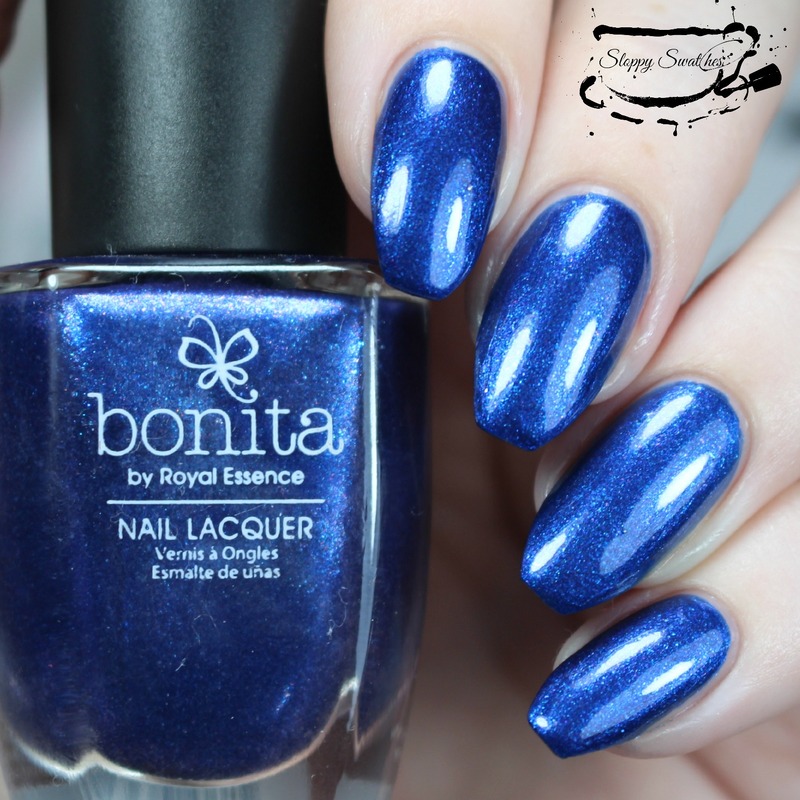 Today I have a review on the amazing Bonita Color’s winter 2015 collection, Forget Me Not. 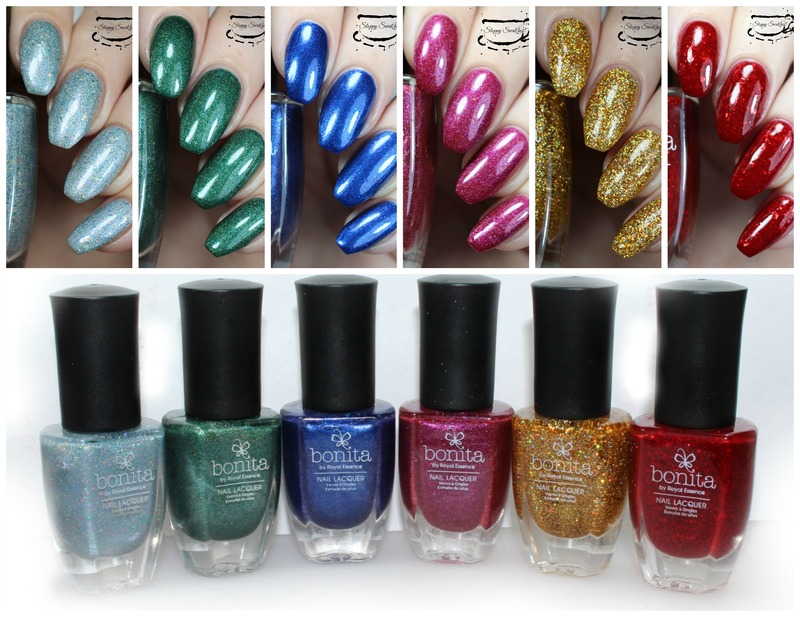 I am incredibly happy with each and every polish, you just don’t get much better than holos, flakies, and jellies oh my! Especially at this price point! These retail at $1.49 and I believe they are only available at Rite Aids. 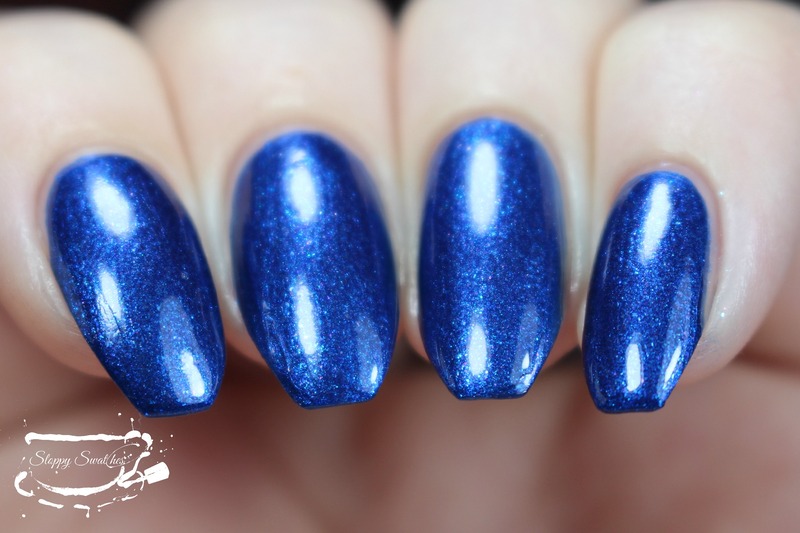 Tinman’s Brew at 3 coats plus topcoat under artificial lighting. I’m going to begin today with Tinman’s Brew. This is a silvery baby blue shimmery polish with silver flakes and some scattered holographic glitter throughout. This one was a little sheer on my and was opaque at 3 coats. It did dry down a tiny bit dull so I topcoated with KB Shimmer’s Clearly On Top. 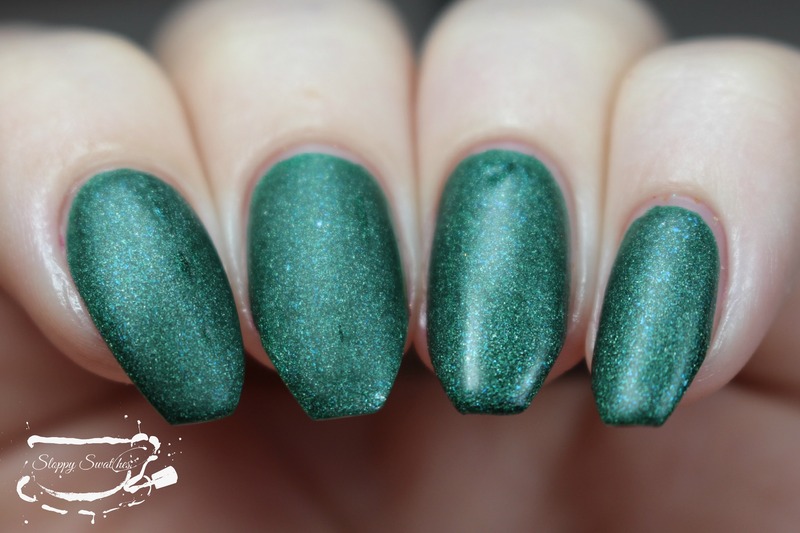 I think I might actually prefer this polish as a topper but it is so interesting and I could totally mistake it for an indie! 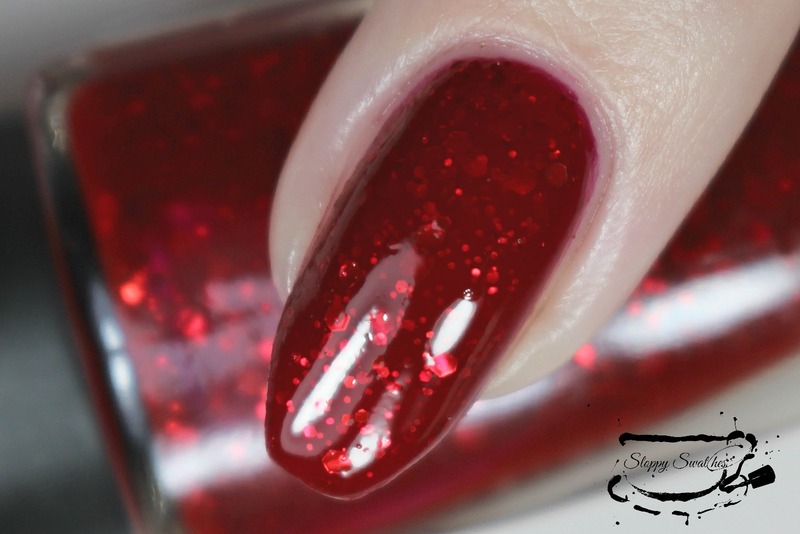 Tinman’s Brew at an angle at 3 coats plus topcoat under artificial lighting. Tinman’s Brew macro at 3 coats plus topcoat under artificial lighting. 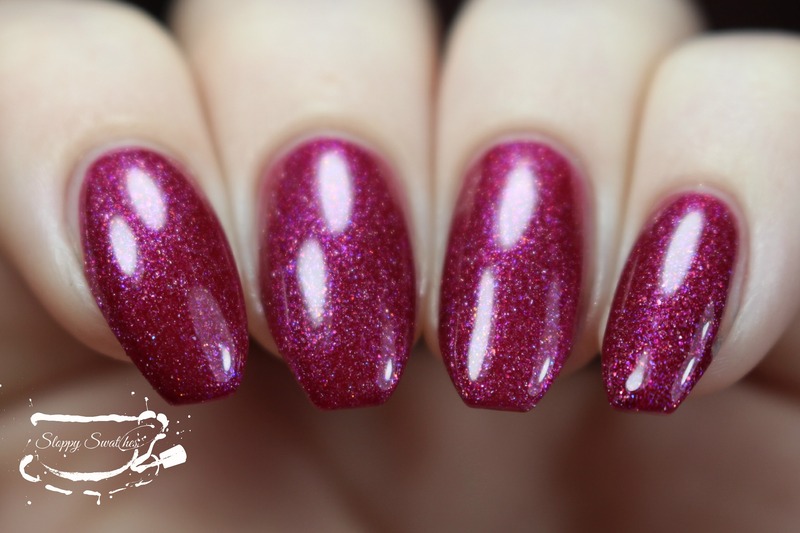 Mo’ Money at 2 coats plus topcoat under artificial lighting. 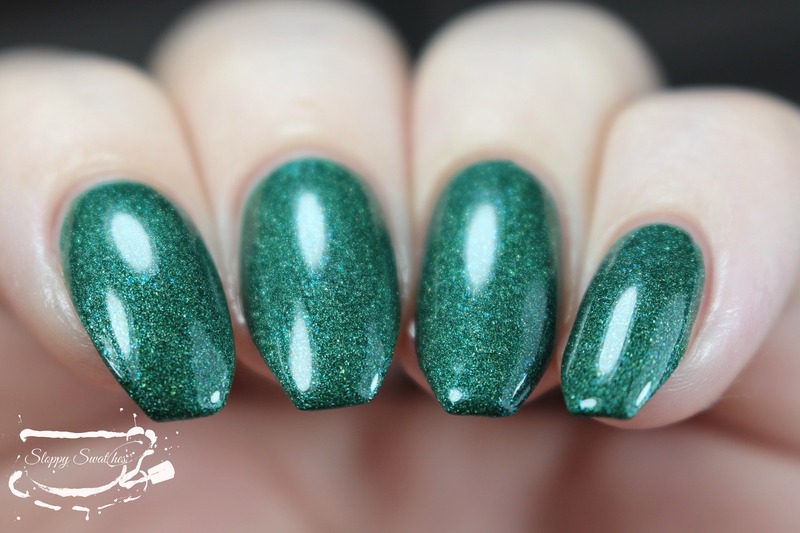 Next up is Mo’ Money, a deep shimmer forest green with a teal/blue flash. The flash doesn’t translate too well on to the nail but this polish has the most opaque and easy formula of the collection! This is a 1-2 coater, I did 2 coats here. 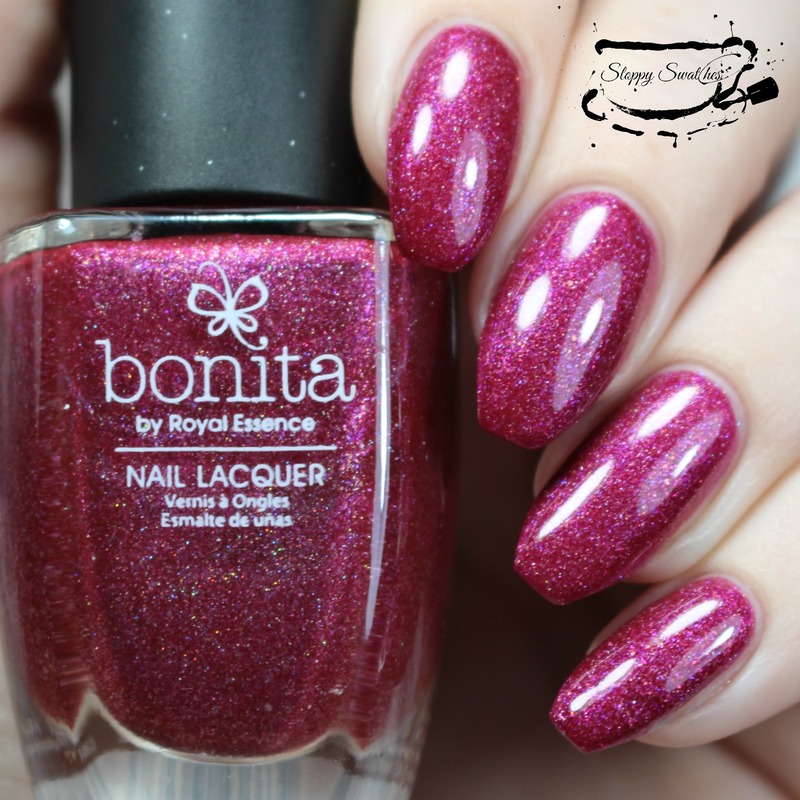 This is not a dead on dupe for Zoya Honor but they are similar enough tat if you are jonesing after the matte velvet but don’t want to pay $9, this may be a good alternative for you! 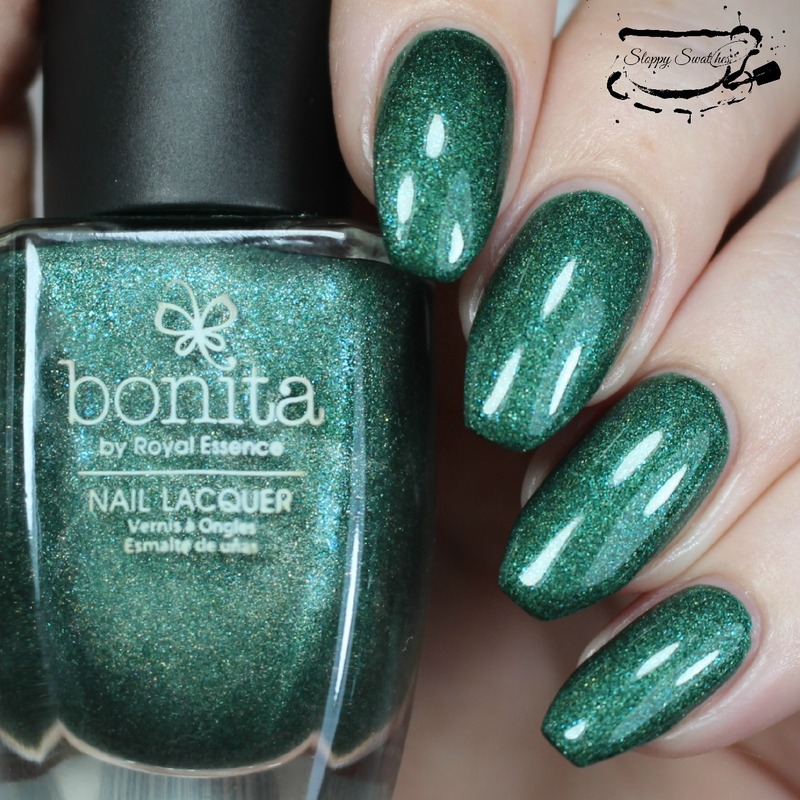 Next up is Forget Me Not, the namesake of the collection! 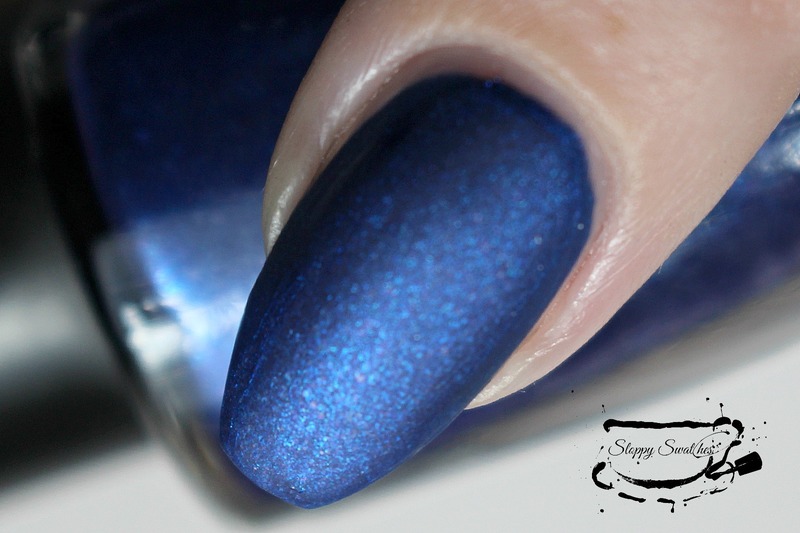 This one was an instant favorite for me, completely opaque at 2 coats and the blue flakes and shimmer in this one give it a beautiful inner fire! 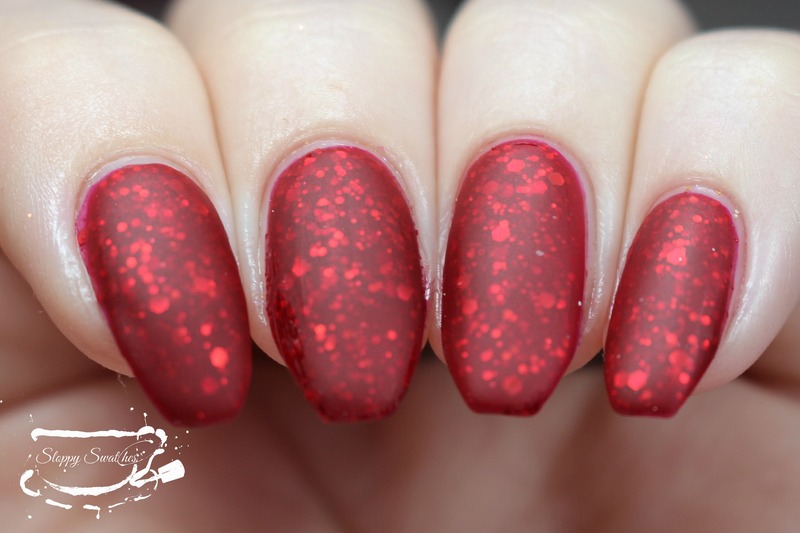 This one, while not a dead on dupe, reminds me a little of Zoya Yves especially while matte. 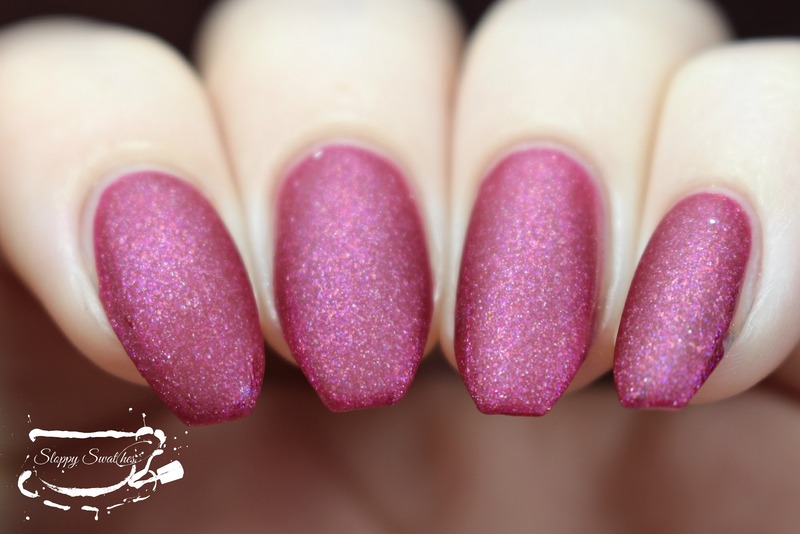 Next up is Do The Flamingo, a shimmery pink with flakes and scattered holographic glitter. 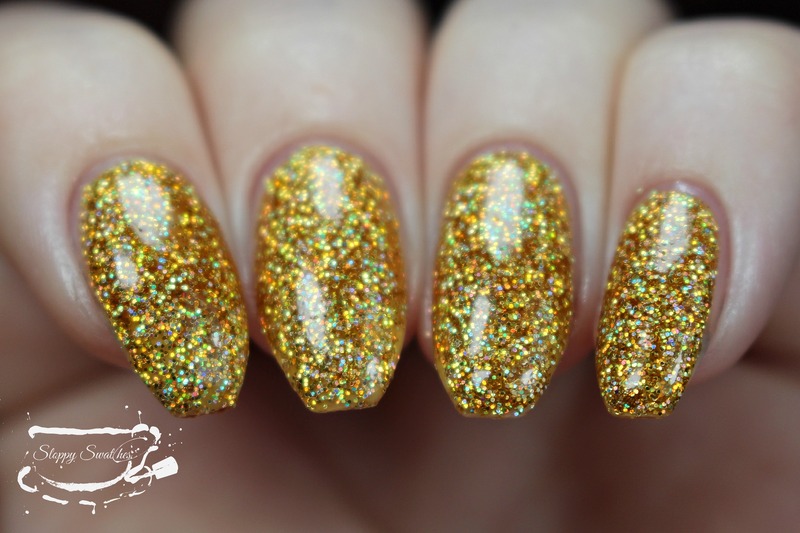 I wasn’t really in love with this one until I got it on my nails I feel head over heels for it! This one is opaque at 2 coats, shown with topcoat. 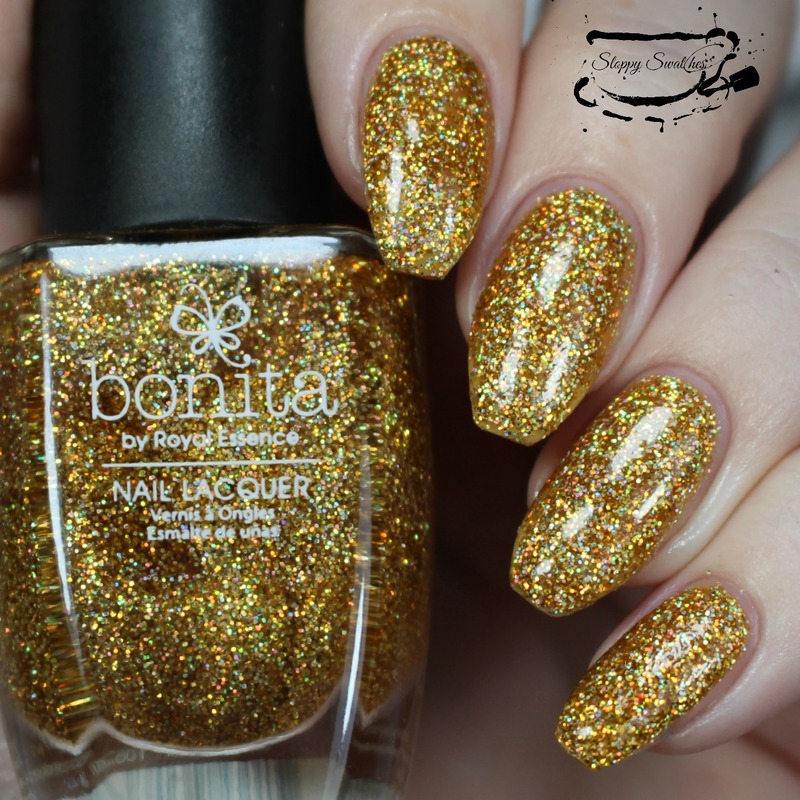 Next up is Golden Girl, a gold scattered holographic micro glitter, If you don’t have one of these in your collection it is a must have! 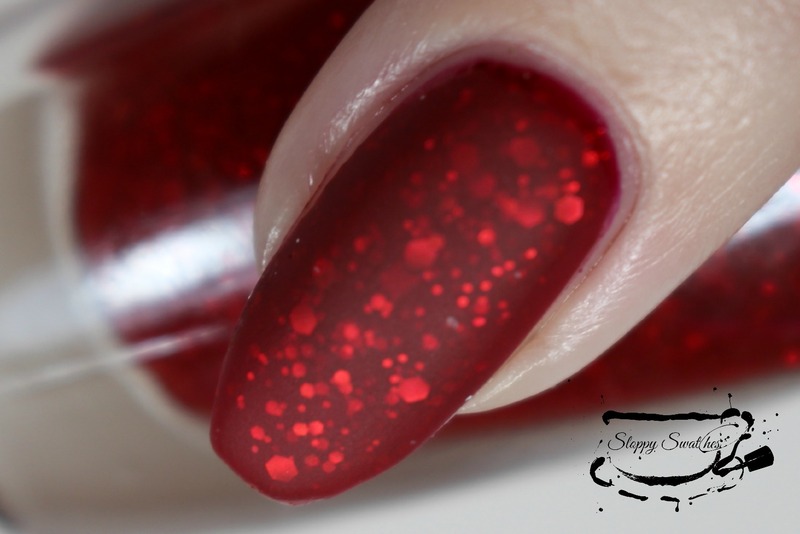 Fairly dense, it was opaque on it’s own at 3 coats but would also make a beautiful topper. I wish I had had some natural sunlight to play with this in! I can see this being great for the holidays. Lastly I have You’re My Lobster (I am not getting these names?!) 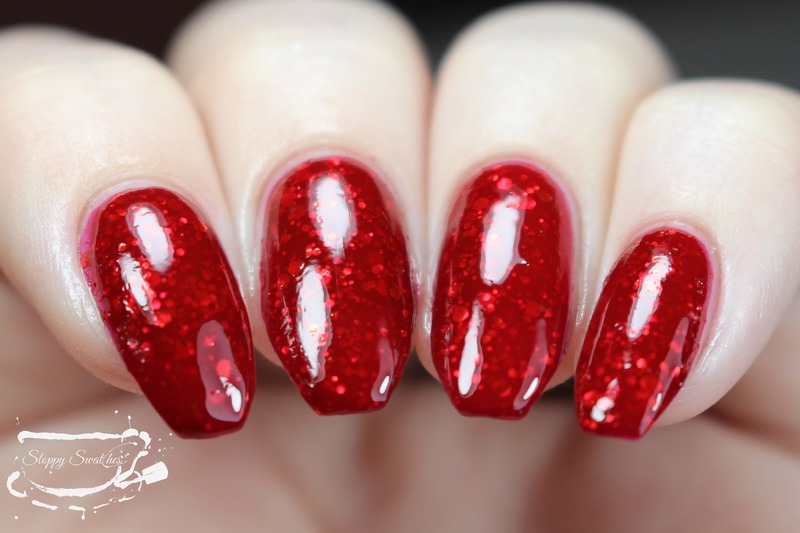 and this is the polish that initially drew me to this collection. 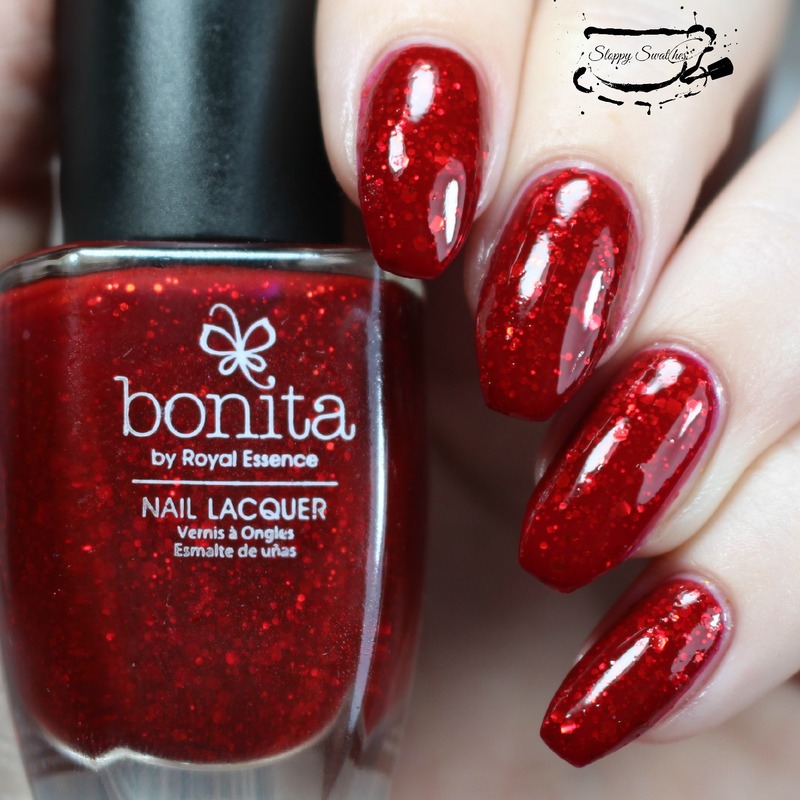 This is a bright true red with an almost jelly consistency plus metallic red glitters. I absolutely love this polish!! You can get away with 2 coats but I think it really benefits from a third coat. 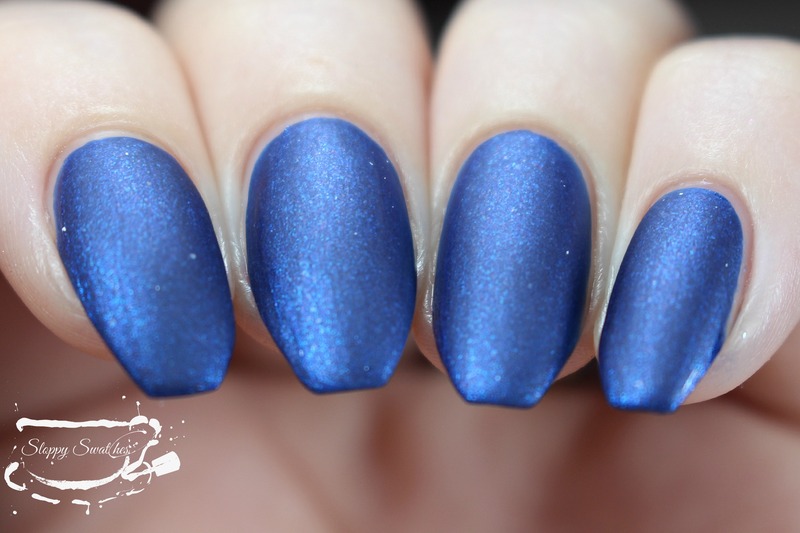 The depth is gorgeous, especially matte! So that rounds out the Forget Me Not Collection, if you are interested in these I suggest running to Rite Aid ASAP! Big huge sloppy thank yous to @darkartsandcrafts for muling these for me, and stay tuned for more swatches and nail art coming soon! Wow. I legitimately love every single one of these! I do too! Thank you for stopping by! I am DY-ING for that red. Omg. Yeees, that red is everything!! That blue is my favorite, no surprise there! Did you try matteing the gold? I’m curious how it looks matte. These are lovely! I didn’t! It seemed sacrilegious to matte all that holo lol! I’m all about the silver and gold ones! Ahh, okay! I agree as a fellow Texan! Hopefully with Walgreens buying up Rite Aid we will finally get some closer by! These are all fantastic! I wish there was a Rite Aid in Toronto! Thank you so much! I wish they offered them online! These are all so pretty! I wish we had a rite aid in my town, I want all of these. 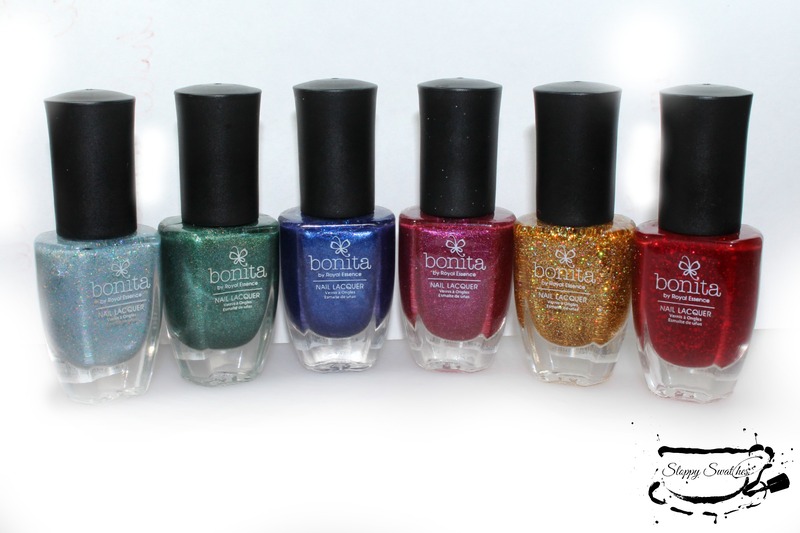 I think bonita is a totally underrated brand, especially for the price. Mini bonitas I found at Big Lots created my easiest and favorite watermarble ever! These are my first Bonitas and I was absolutely surprised with how much I love them!